It doesn't get any warmer than down, but it can be a little fickle when the weather gets rough, which is why the Obermeyer Ultimate Down Hybrid Jacket backs the powerful warmth of natural goose down with 3M® Thinsulate™. Not only will this keep you warm on the colder snow days, but also it provides quality moisture management and better wet-weather performance. 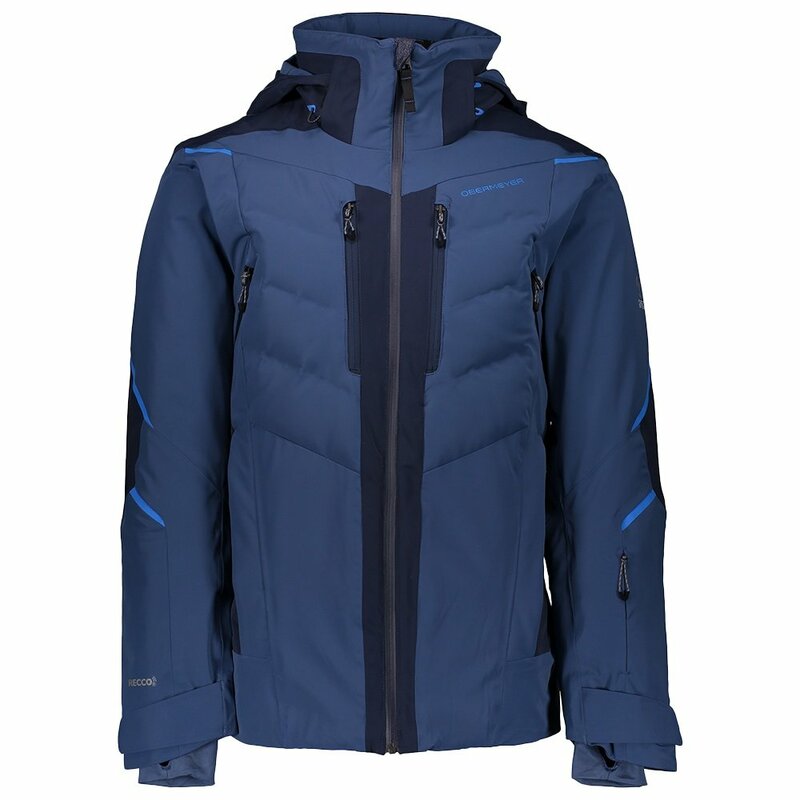 Because you'll be heading out in wet weather with this jacket, the HydroBlock® coating offers 25k waterproofing and 25k breathability, enough to protect you from rain and slush without warming you up too much for a fresh and comfortable day on the slopes.